Lenhart, Mason & Associates LLC is a full-service certified public accounting firm offering a full range of accounting, auditing, tax, and consulting services for businesses of all sizes, individuals, non-profit organizations, and governmental entities. 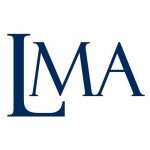 Work For Lenhart Mason & Associates LLC? Claim This Page.